The St. Louis Browns and Detroit Tigers were playing a doubleheader at Sportsman's Park in St. Louis on August 19, 1951. 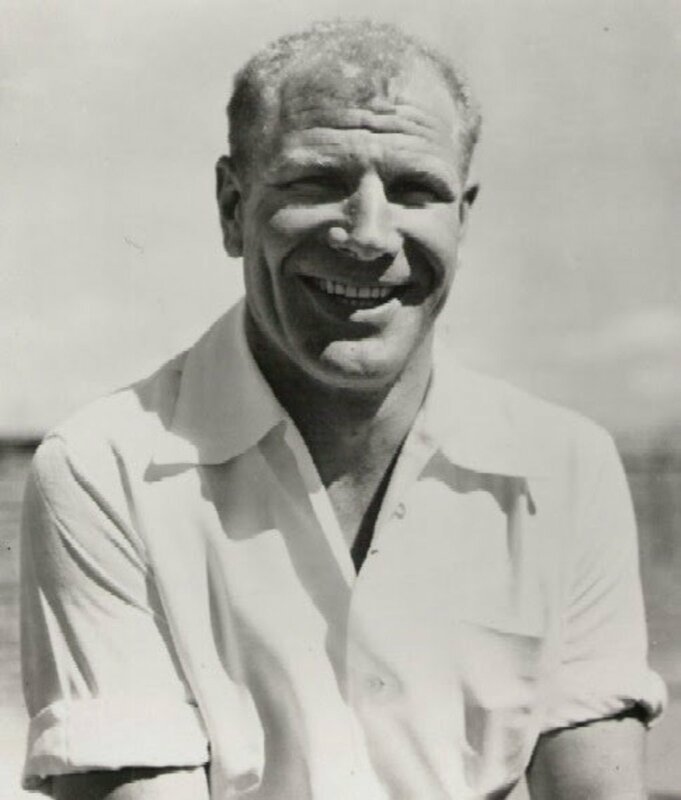 The owner of the Browns was Bill Veeck. He was known for putting on a good show for spectators. He promised the Brown's fans he'd provide them with a special surprise between the games of the doubleheader. As part of the celebration of the 50th anniversary of the American League, a paper-mache cake was brought out. This was done as part of a promotion by Falstaff Brewery. 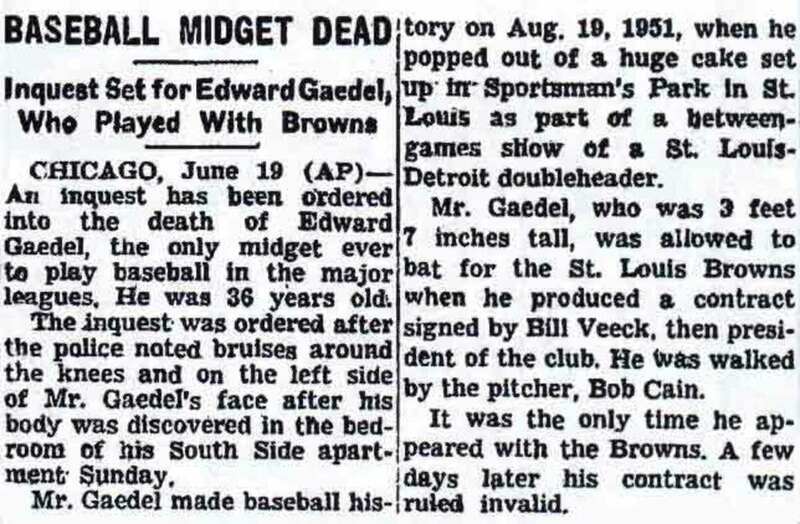 To the crowd's surprise, a 26-year-old dwarf named Eddie Gaedel jumped out of the cake wearing a St. Louis Browns uniform. The crowd did not expect what would happen next. Eddie Gaedel was wrapped in blankets and secretly taken into Bill Veeck's hotel room prior to the doubleheader. He was given a Brown's uniform owned by the son of the club's vice president. 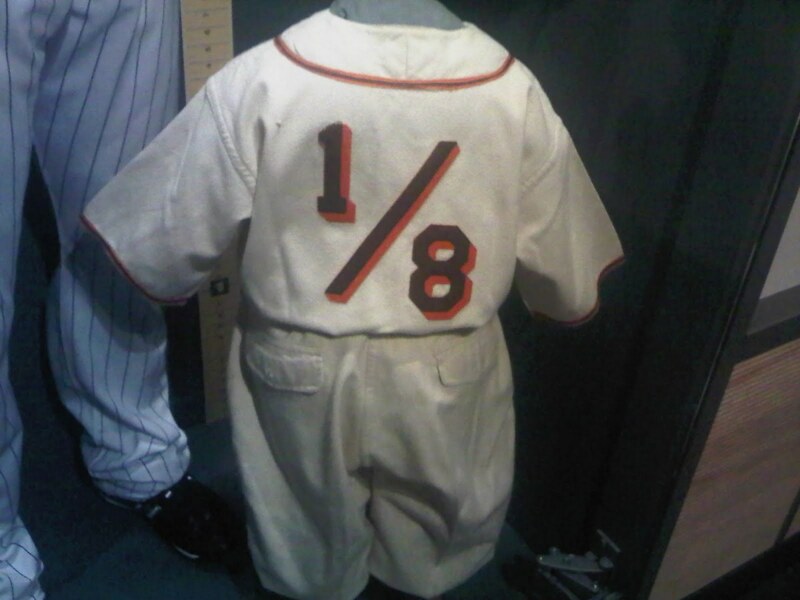 The uniform's number 6 on the back was changed to 1/8. Pre-game literature, as well as scorecards given to the media and fans, listed a player that had #18. Nobody suspected anything. Gaedel signed a contract worth $15,400. This equaled $100 for the day he would play professional baseball. 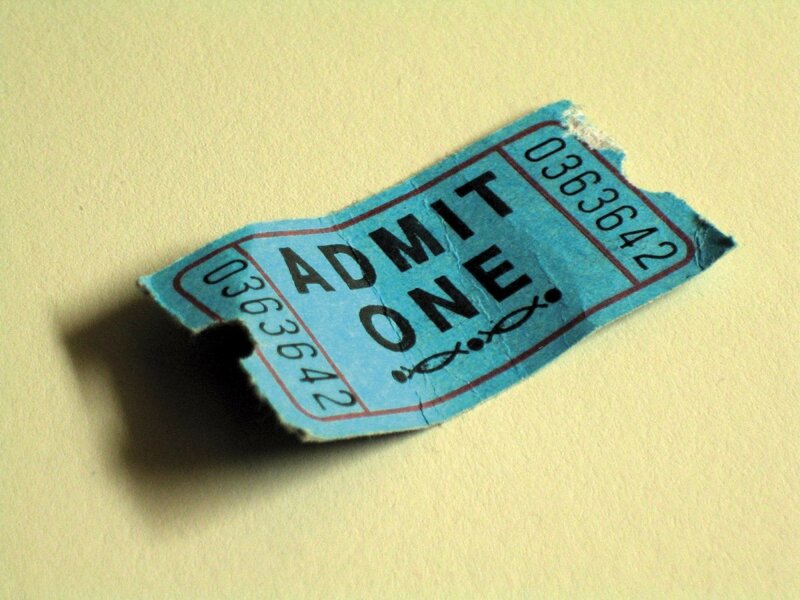 This pay was equal to the minimum scale wage for an American Guild of Variety Artists (AGVA) act. The normal 30-day clause guaranteeing severance pay after being let go was waived by Gaedel. Veeck also had a $1 million dollar life insurance policy taken out on Gaedel in case something unfortunate occurred. Uniform worn by Eddie Gaedel during game. The goal was for Gaedel to squat low at the plate and not swing. He was supposed to draw a walk. Gaedel practiced crouching and holding a toy bat. 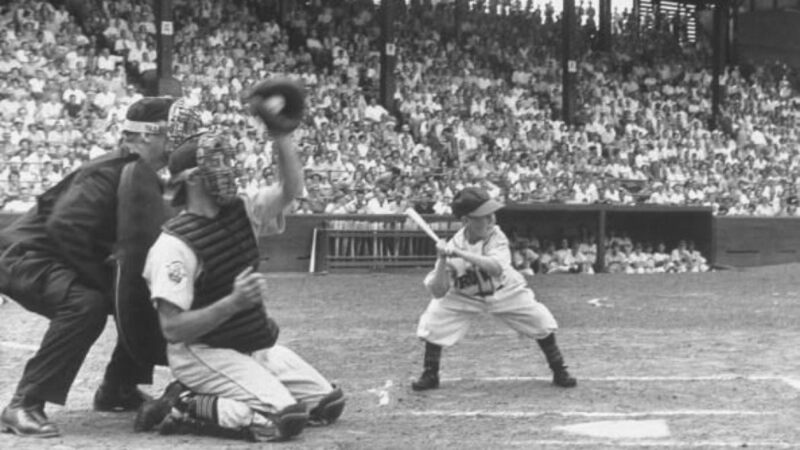 Eddie Gaedel was quite a showman and could take swings and look like he was getting ready to bat. When Bill Veeck suspected Gaedel was tempted to swing, he warned Gaedel that he'd taken out a $1 million life insurance policy on him. Veeck said he'd have someone on the roof of the stadium with a rifle ready to shoot Gaedel if he even appeared to be thinking about swinging the bat while at the plate. 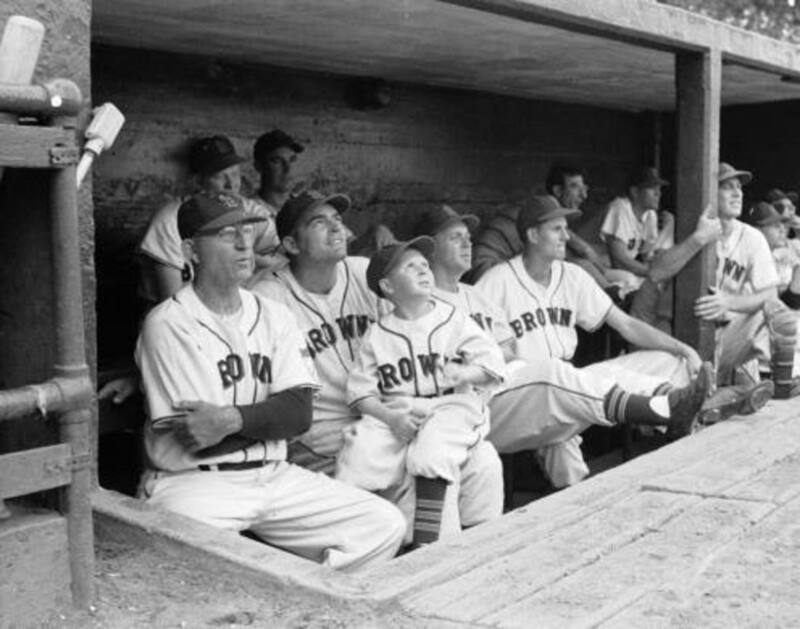 Eddie Gaedel with other St. Louis Browns players. Bob Cain was the Detroit Tigers pitcher. He took the mound during the bottom of the first inning and was busy warming up. Gaedel came into the game in the bottom of the first inning as a pinch-hitter for Frank Saucier. The umpire was Ed Hurly. He yelled to the Browns manager Zack Taylor for a meeting. The Brown's owner and manager anticipated this happening. They had Gaedel's contract ready. The two of them also provided the umpire with a copy of their active roster which had room for Gaedel. 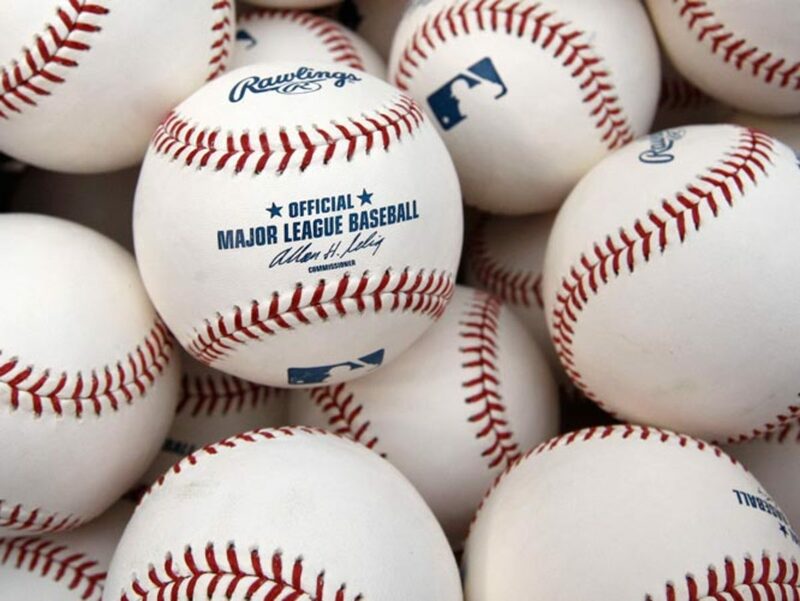 The contract had been filed with the American league office late on the previous Friday. The owner knew the contract would be summarily approved upon receipt. This meant it wouldn't be carefully read until Monday. After reading the contract, and noticing everything was correct, the umpire had no choice but to motion for Eddie Gaedel to go to the batter's box and take his place. At the plate, Gaedel abandoned the pose that Veeck had taught him. Instead, he did a fair imitation of Joe DiMaggio's stance in the batter's box. Eddie Gaedel batting during game. Detroit's pitcher Bob Cain could not stop laughing at the absurdity of the situation. 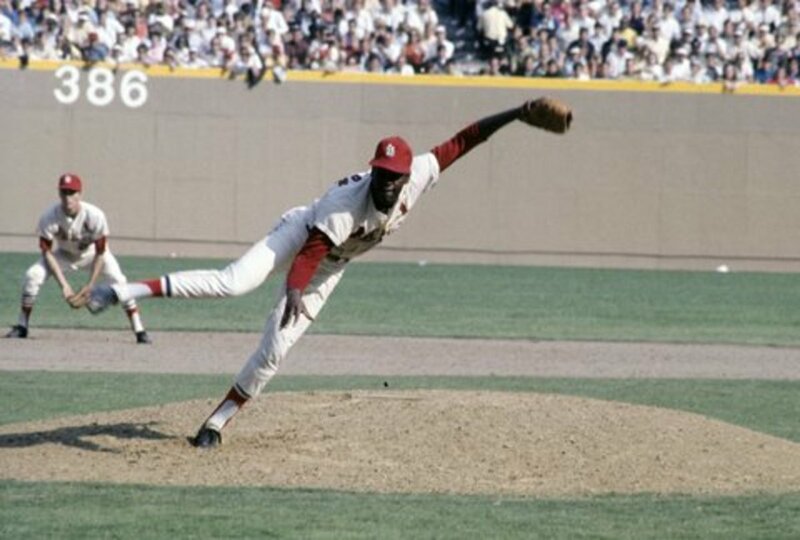 It was difficult for him to believe he'd actually have to pitch to a 3 foot 7 inch player. Gaedel took his stance in the batter's box. The Tiger's catcher motioned for the pitcher to keep it low. After four pitches Gaedel was given a walk. He waved to the crowd and slowly ran to first base. He stopped twice along the way to bow to the wildly cheering crowd. Gaedel was quickly replaced by Jim Delsing as the pinch-runner. The stadium's 18,370 fans gave Eddie Gaedel a standing ovation. Back of Eddie Gaedel Baseball card. The result of this stunt caused quite a commotion in the world of major league baseball. Many found it harmless and amusing. Others were quite offended by what happened. 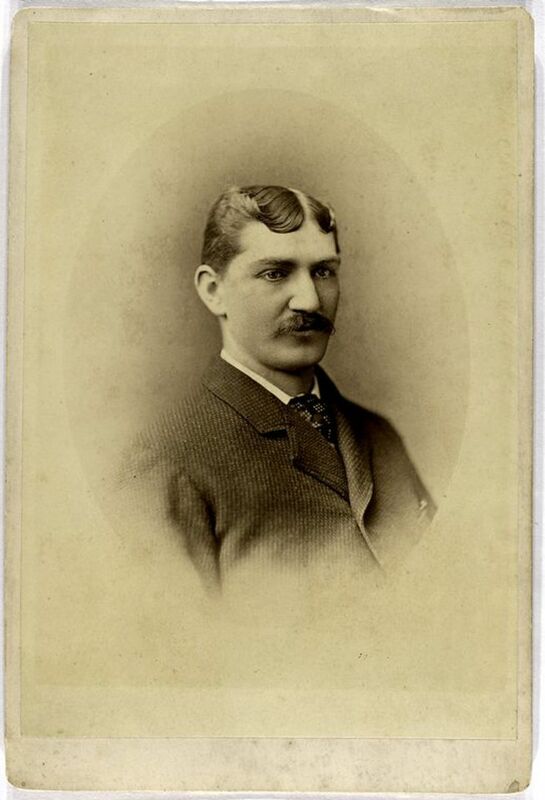 Will Harridge was the president of the American League. Two days after the incident he voided Gaedel's contract. His stated it was in the best interests of baseball. 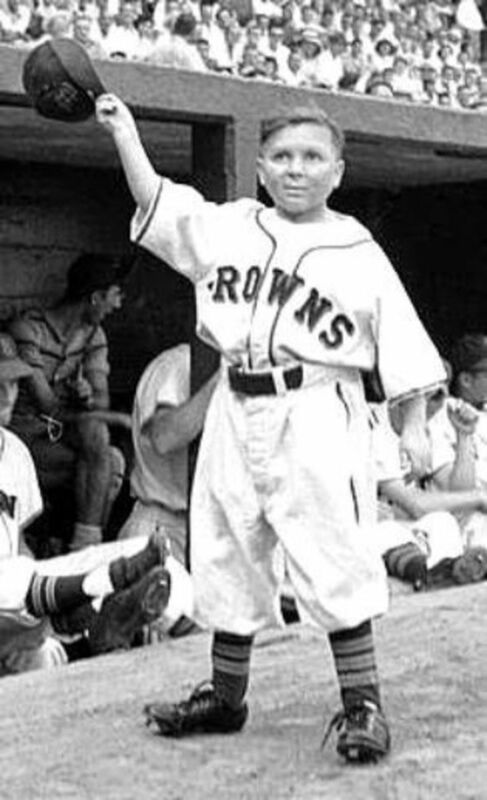 Reporters asked Eddie Gaedel what he thought about Harridge tearing up his contract. Gaedel became angry. 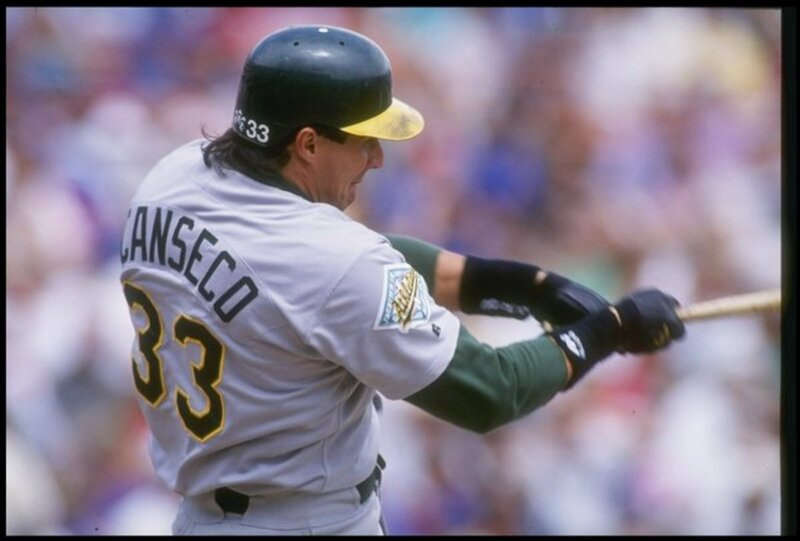 He accused the American League president of ruining his opportunity to have a major league baseball career. The next spring training session for the St. Louis Browns seven dwarfs from Hollywood arrived and asked for a chance to try out for the team. The St. Louis Browns had a new manager now named Rogers Hornby. He was very serious and wouldn't let any of the dwarfs on the field. At first, Gaedel was eliminated from major league baseball's record book. It was as if he had not played in a game. A year later, he was put back into the record books. Gaedel was listed as a right-handed batter and left-handed thrower. 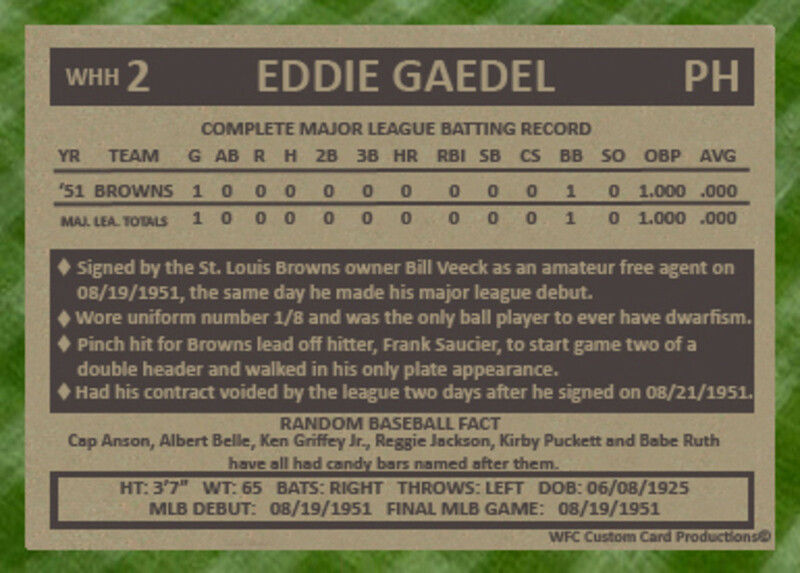 Eddie Gaedel ended his major league baseball career with a 1.000 on-base percentage. Gaedel's baseball fame became quite lucrative for him. He was able to appear on many different television shows during the next year and earn more than $17,000. 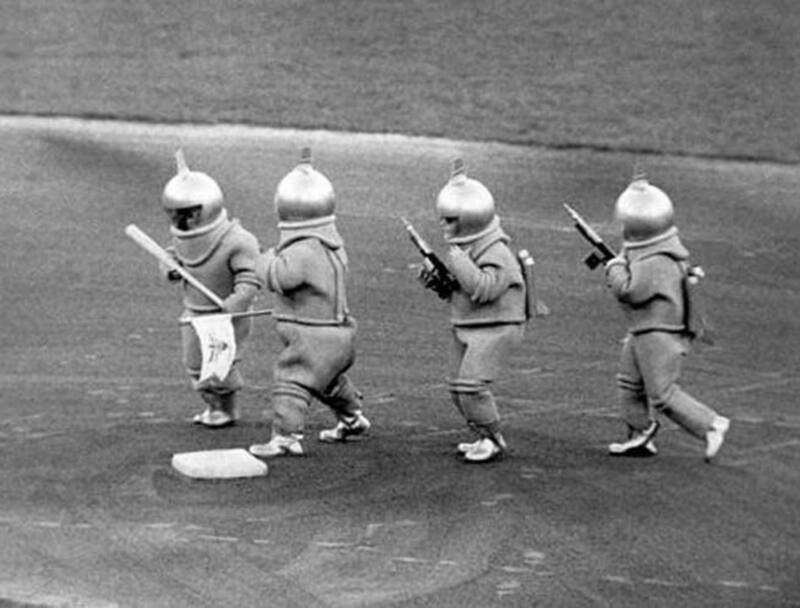 Eddie Gaedel with others dressed as Martians. Eddie Gaedel was able to use his new found fame in many different ways. He was paid to take an at bat during an amateur baseball game in Illinois, After two strikes, he yelled at the umpire. He swung at the next pitch and struck out. He left yelling at the umpire. Gaedel's jobs were many after that time. He appeared at store openings for Buster Brown shoes. He worked with Ringling Brothers Circus and did promotions for Mercury Records. He was offered opportunities to be in Hollywood movies and tour for Mercury Records, but he refused. Gaedel didn't like to travel. 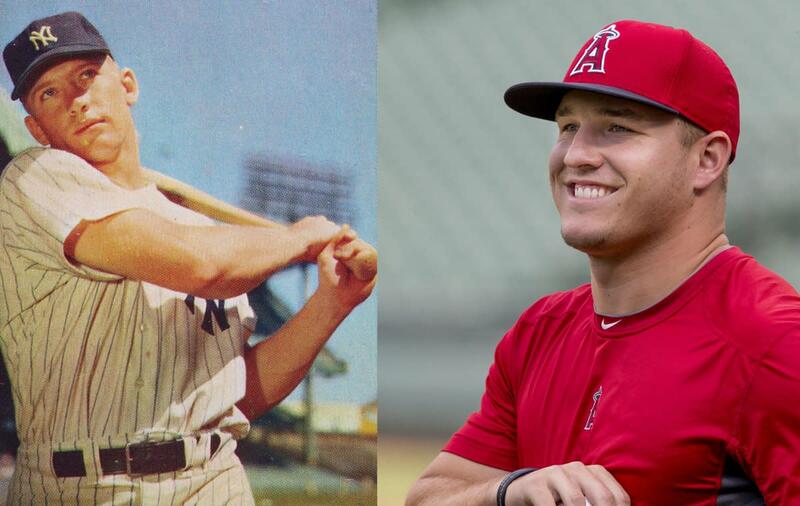 His last baseball experience occurred in 1959. He and a few other dwarfs landed in a helicopter at the White Sox, Comiskey Park. They were dressed as Martians carrying ray guns. They went into the dugout and captured certain players. They then took them to home plate for a ceremony. Eddie Gaedel was known to be combative when drinking. As he got older, Gaedel was involved in increasingly more fights and altercations. His health began to fail. He started working as a bartender at a well-known bar called the Midget Club. On June 18, 1961, Gaedel had too much to drink at a bowling alley. He became belligerent with some of the other patrons. It is believed some of them followed him home and gave him a terrible beating. The next day his mother found him laying in bed. Eddie Gaedel was dead at the age of 36. It was ruled a heart attack caused by the severe beating he had experienced. Lions44 and LR thanks. It's an incredible story. Great article. My dad mentioned him frequently. Sharing everywhere.